Have you ever noticed that your child may struggle with some math related tasks yet excel at others? It can be frustrating when math concepts that seem like they should be easy just aren't. Well the truth is that there really has never been a simple way to figure out where the problem really is. Math is made up of numerous underlying skills. No I'm not talking about addition and subtraction. I'm talking about skills even more basic than that. Skills like visual memory or memory manipulation (technical jargon but it's really quite simple once you get it). To understand where the real problem is you have to figure out which of these underlying skills is causing the problem. And it's different for everyone. This test is not designed as a professional diagnosis but instead is designed to help parents understand the problem and get their child in the right path to learning success in math. 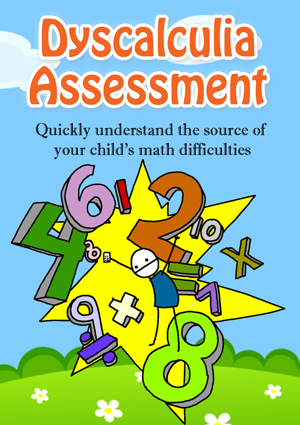 This understanding will enable you to eliminate the struggles your child may have with math. Relieving their anxiety and making for a happier more successful child.